’Tis the season for holiday party hopping. With all the upcoming festivities, you must be prepared to show the host appropriate appreciation. Arriving at the party with a spirited gift that contributes to the evening’s merriment is the perfect way to take stress off the entertainer while providing a little unexpected delight to the scene. 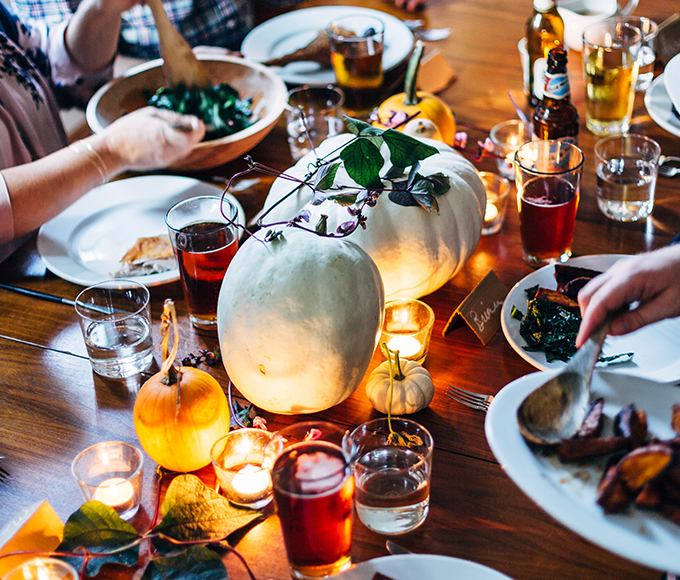 Now that you’ve got your social calendar planned, we’ve pulled together four easy ways to be the best guest that will place you on celebration speed dial for years to come. Always show your host appreciation by bringing a gift that can be enjoyed the night of the event. Wine is commonly brought to parties, so why not surprise your host with a frosty six-pack of beer instead? It is an unexpected gift that is both relaxed yet perfect for a festive gathering. 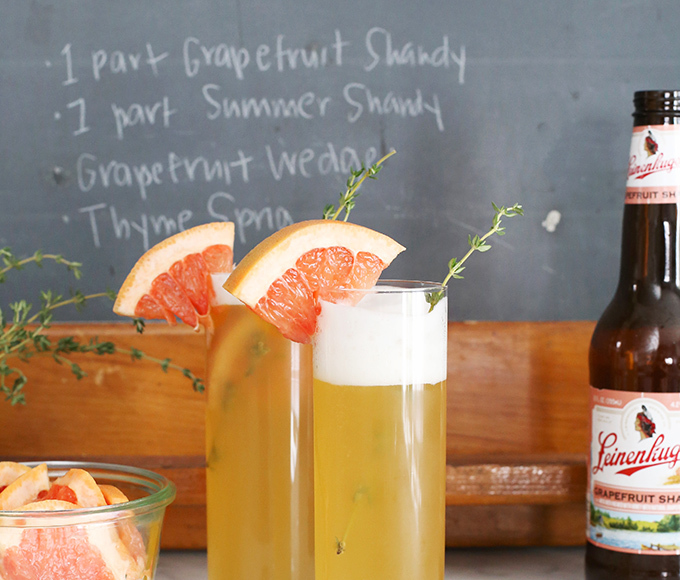 I like to bring a seasonal beer like Leinenkugel’s® Cranberry Ginger Shandy® – which is a unique choice that everyone will want to try a sip of. Dress up your spirited surprise with holiday decor that can be used throughout the season. 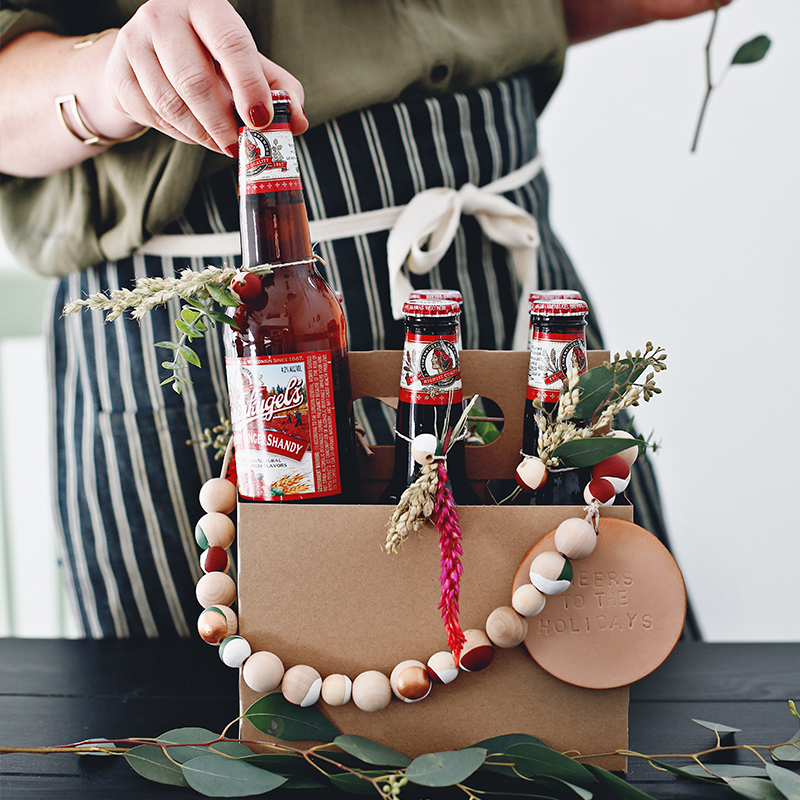 By sourcing easy-to-find items from your craft store, you can deck the beer bottles and customize your own six-pack carrier with festive flair that can be later used around the host’s home. 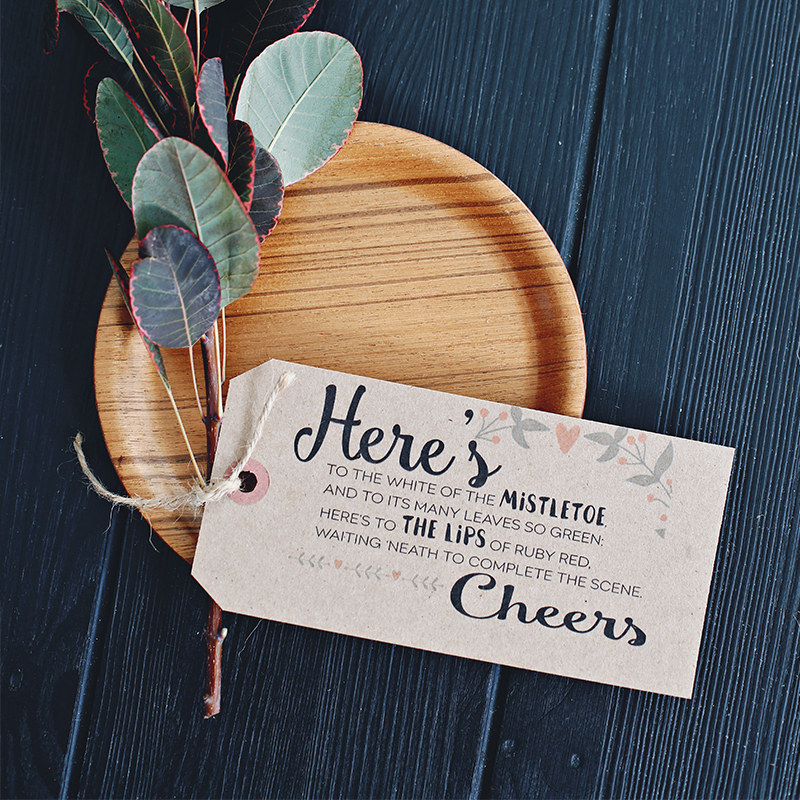 Consider using natural elements such as twine, wood and leather to create simple yet stylish ornaments and garlands. 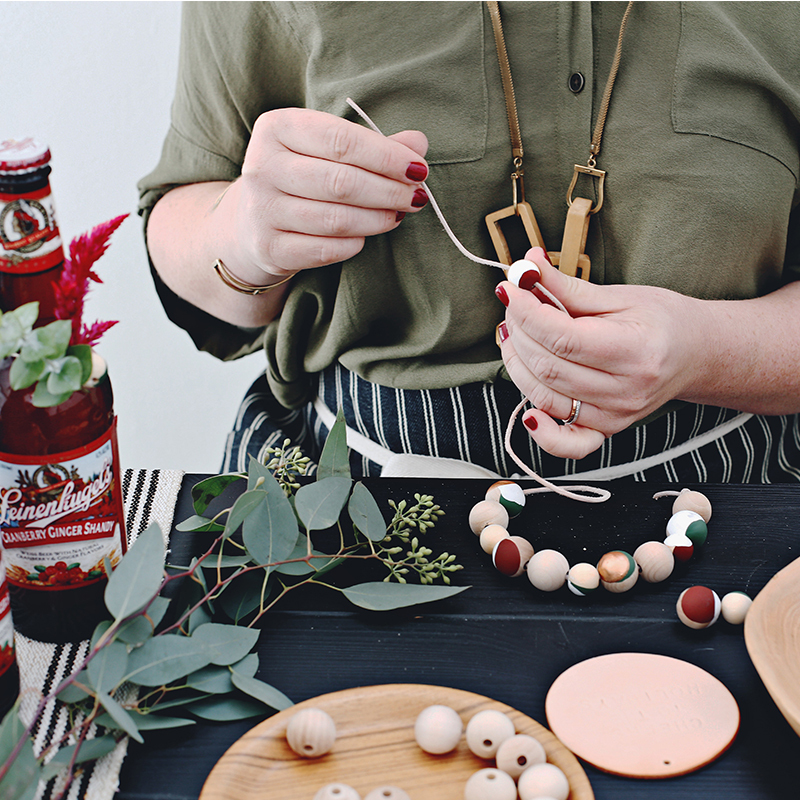 I dipped my wooden beads in layers of acrylic paint to create a modern color-blocked look and hand-stamped a leather tag for a more personal touch. By using botanicals that dry easily while keeping their shape (such as eucalyptus), your creation will leave a lasting impression well into the new year. 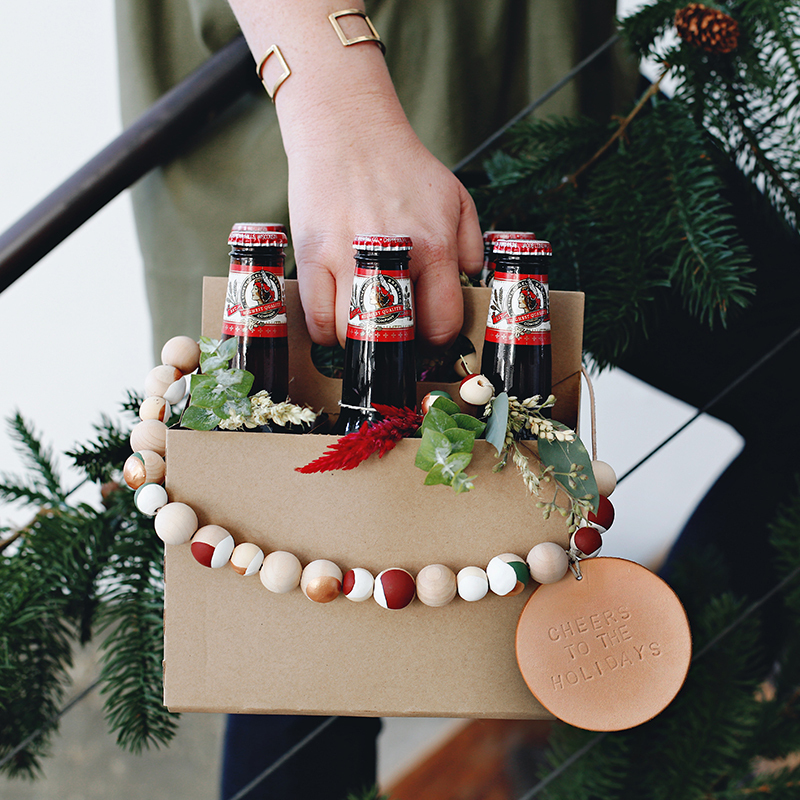 Take your creativity one step further by mixing things up with a carefully curated variety pack of beer inside your one-of-a kind carrier. Party beverages and charcuterie are always a delectable duo! 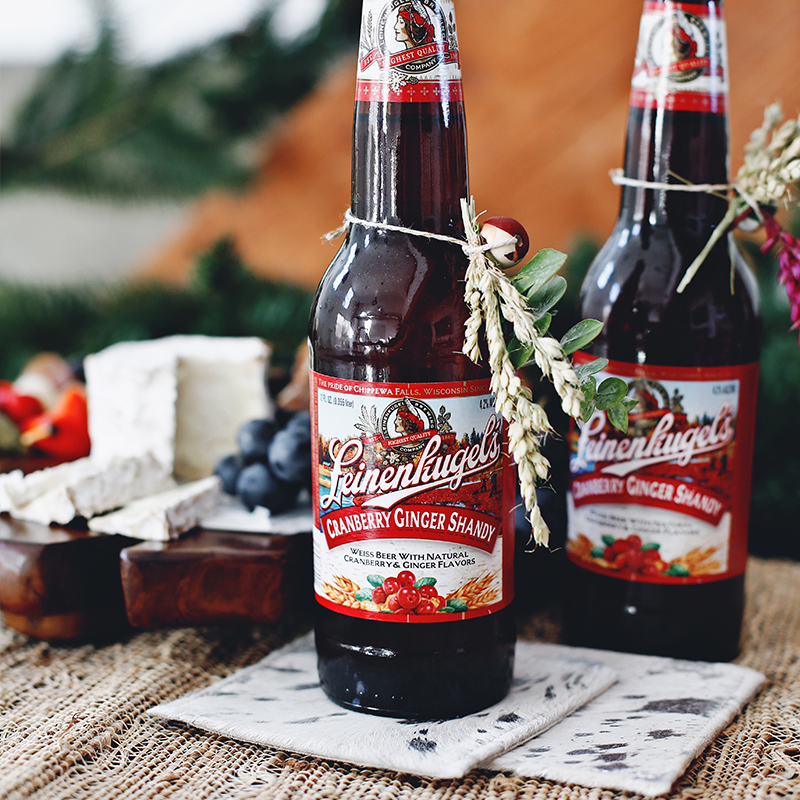 There is no question the light fruit notes in Leinenkugel’s Cranberry Ginger Shandy pop against the rich and creamy flavors of goat cheese. 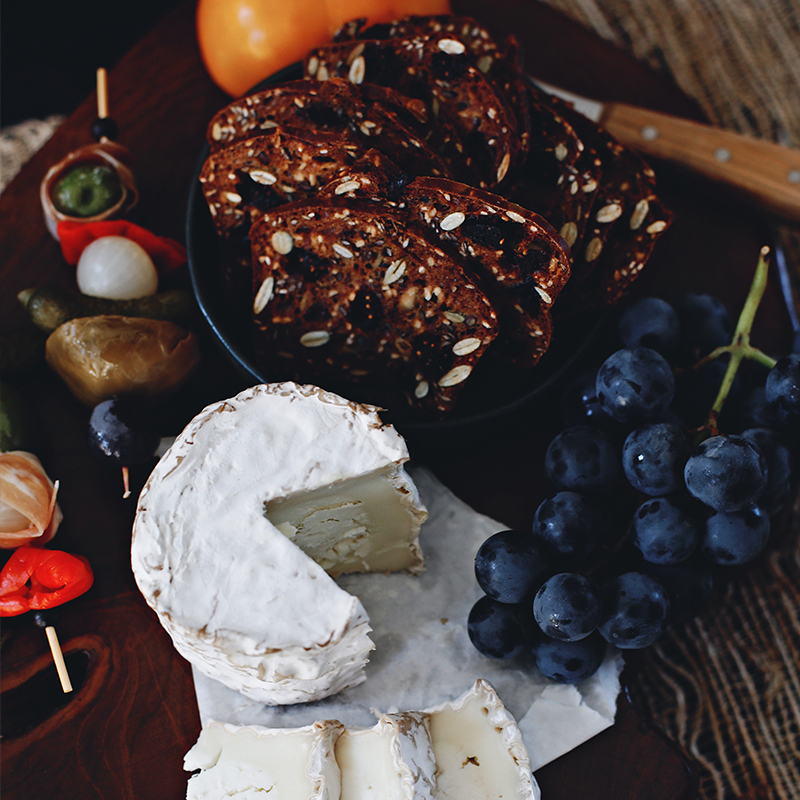 Be courteous of the host’s home and limit making a mess by arranging a simple cheese and cracker board that is pre-assembled and easy to transport. By arriving with little bites ready to serve with no further prep needed you are also giving the gift of less hosting work, which will be much appreciated. 4. Don’t Forget to Toast the Host! Timing is key: Raise your glass early in the evening while the room is lively and fresh. 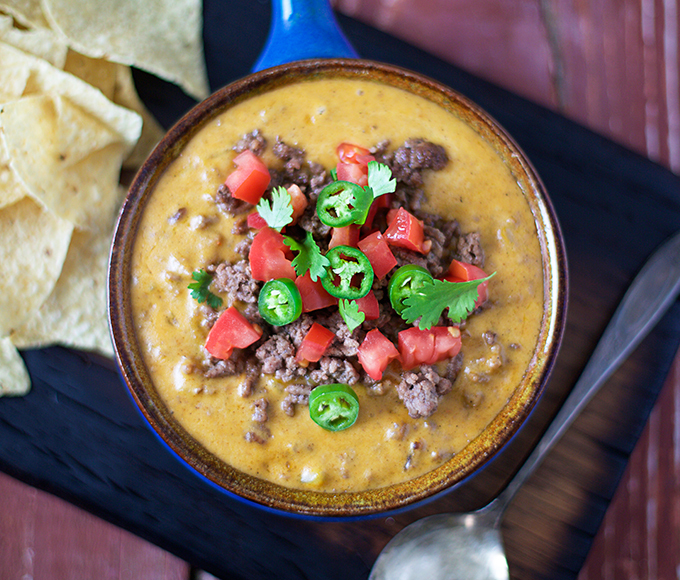 Your gesture to the host will be the perfect way to kick off conversations and glee. Grab the room’s attention: Take center stage with a quick clink of the glass so everyone (and most importantly the host) can hear your praise of the night. Keep it short: Where one might want to retell stories of yore, make your announcement brief so the focus stays on thanking the host. Follow it with a fun celebratory toast to the holiday season. Waiting 'neath to complete the scene. Now it’s time to raid the craft store and pick up your six-pack of beer! 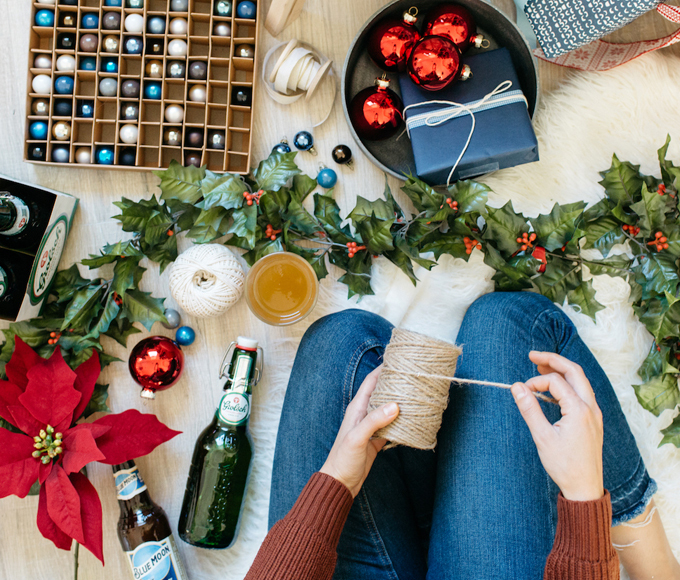 Cheers to your upcoming seasonal gatherings and being the best holiday guest at the top of every invite list.